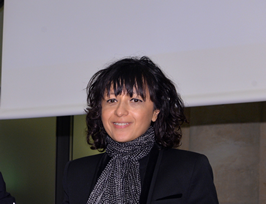 Emmanuelle Charpentier's name is closely associated with an entirely new method of genome modification. It is for the discovery and development of this method that she is now being recognised with the Leibniz Prize. Charpentier is interested in regulatory processes in infectious diseases caused by bacteria. In this field she has also studied CRISPR-Cas, a bacterial defence system against phages. Charpentier – in partnership with Jennifer Doudna in Berkeley – has succeeded in significantly simplifying this originally very complex system. This in turn was the starting point for the development and use of CRISPR-Cas9 as a cutting tool, which allows a genome to be modified at any point with great efficiency and reliability. Compared with previous methods of genome modification, these RNA-based, programmable DNA "scissors" are revolutionary. The method is considered to be one of the greatest advances in the life sciences in recent decades, which is already being used all over the world.